Mustang region is often referred to the Mustang district, which lies on the rain shadows of Annapurna mountains. This region covers an area of 3,573 kilometer square and has around 14,000 inhabitants. The region is a subregion of Annapurna region and is as well a protected as well as restricted area. 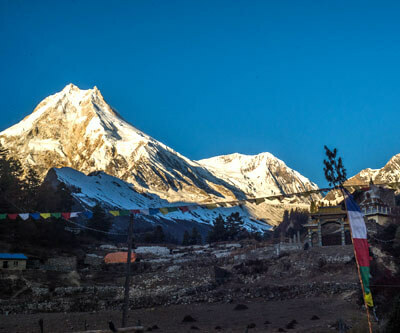 The northern part of Mustang’s land shares borders with Tibet and hence, any foreign traveller would require a special permit from the government to enter this land. Mustang region is known as the home of rare Thakali people. People from whom Nepal acquired famous recipe for cooking special rice, lentil soup and vegetable. Furthermore, before Mustang being introduced as a trekking destination amongst Nepalese, it was famous as the land from where came the best apples. It was as well known for the best know apple brandy in the entire country. Other than that, Mustang region is a highly regarded pilgrimage for followers of hinduism, buddhism and Bon. People following the mentioned religion, flock from all over the globe to pay homage to the Lord Muktinath. The two third of the northern Mustang region is the former kingdom of Lho. Lho, also known as Lo Manthang was a small kingdom under the Kingdom of Nepal until the year 2008. The kingdom got abolished as the country became the republic of Nepal. Lo is as well known as the last forbidden kingdom and one can see the former king and prince living in their palace in the village itself. Despite all the turmoil that cost them the kingdom, the king still makes it to the part of their ceremonies and they still continue their age old tradition and practices. This region lies in the rain shadows of the Annapurna mountains and receives very less or no rain at all. The terrain throughout is deserted and one can only see patches of green or an oasis in the middle of the desert. People heavily rely on agriculture and the trade with tibet. However, the only plant or harvest in the northern region of Mustang includes potatoes, barley, millet and few other crops. Other than this you will not see any vegetation. There are very less animal in the region because of the harsh terrain combined with equally harsh weather conditions. However, the terrain of Mustang is amazing and is rejoiced and acknowledged by all the travellers in the region. The region is often comprised in the Annapurna circuit trek. 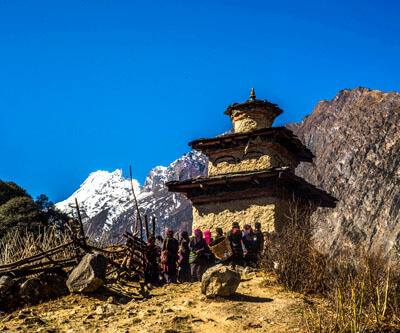 There are few trekking trail in Mustang region namely Upper Mustang trek and Lower Mustang trek. If you wish to trek in the Mustang region please follow here !